Unisex overdyed cotton tee features double-needle stitched hem and sleeves and cover seam stitched collar. 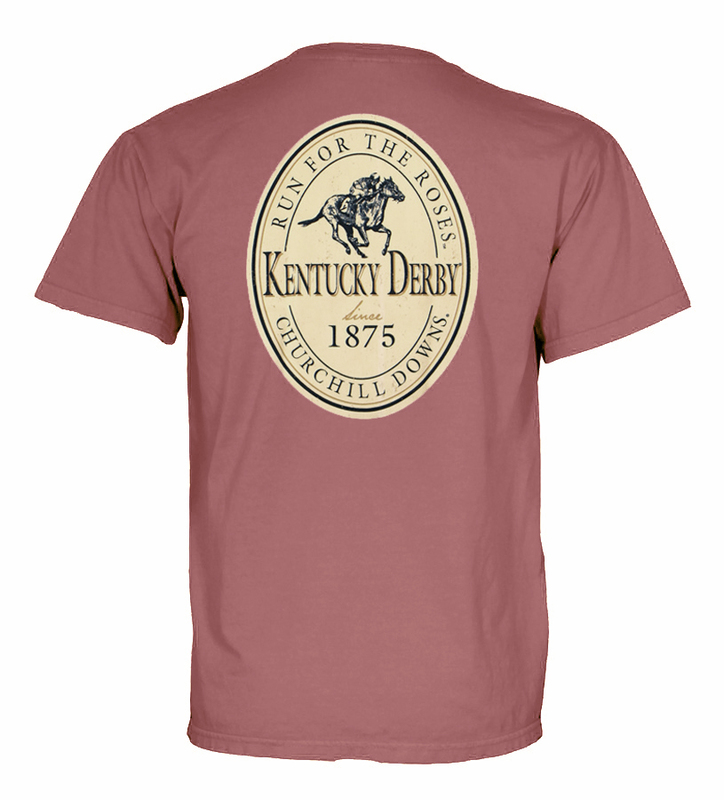 Printed with a Churchill Downs distressed design. 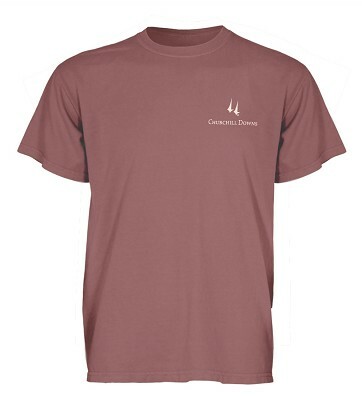 Available in cigar brown, indigo blue, nantucket red, sage green, tahiti blue or yellow in sizes S-XXL. A Kentucky Derby Museum Exclusive.